Connecting people who need wood with those who supply and work with wood. When we are looking to buy something (anything) nowadays we automatically turn to the internet and ‘Google it’. Until now the wood industry has been left behind in this digital age, until now – we are the first to offer the ability to buy wood and wooden products, often bespoke and custom wooden products, from multiple sources, online. We are the first and (currently) only site that allows you to choose a product, choose your wood and then obtain competitive prices from multiple sources with one click (after you have been give an instant estimate of the price you are likely to pay). Not only do we offer this for hardwood mouldings, planed and sawn timber but we also make to match – and you can get an guide price for this instantly too. Architects – get budget prices for your designs at concept stage then let the contractor buy our products once on site. Also please click here for our CAD drawings download service. Builders – get instant prices and then quotes from multiple suppliers ensuring your needs can be met. Speedy one click process rather than having to track down manufacturers. Furniture makers/renovators – locate unique wood profiles in many wood types. Shop fitters – get prices for unique and matching mouldings, quick and easy. Domestic and DIY – Want to match a moulding or wood profile in your home – this is a one stop shop. 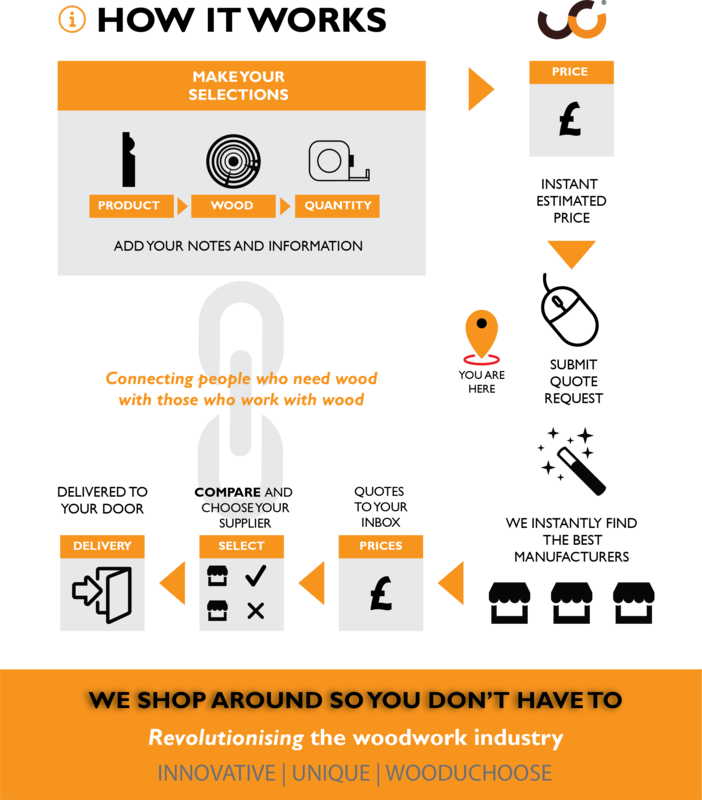 Joiners – use our sawn boards quoting system to build a cutting list and send to multiple suppliers with one click saving time and money. Time saving – accurate – we contact the best in country to save you re-sending to multiple manufacturers and then having to chase the quotes. Plus you know what to expect with our innovative system of estimating prices. This service also extends to any bespoke architectural joinery and woodwork. You click on the appropriate product type, enter your details and upload the drawings, specification and images and we’ll direct this to the best manufacturers in their field and you’ll get quotes sent to your inbox. Why? – We shop around so you don’t have to. This means you can find local and national suppliers at the click of one button with scouring the country trying to find people that can help. We know who can help you and we connect you. You can now get multiple prices for bespoke wood projects from one source. Ticking any procurement protocol boxes (need to ensure competitive prices) all from one source and promptly. Plus you’ll be safe in the knowledge that our manufacturer partners can supply to your requirements. We’ve been in the building industry since the late 1980’s so we know how it works and the challenges you face, we are here to help with all of your bespoke and custom joinery needs.